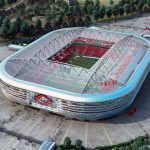 The Spartak Stadium / Opening Arena (World Cup 2018) — very soon the football World Cup-2018 starts, which will be held in Russia. 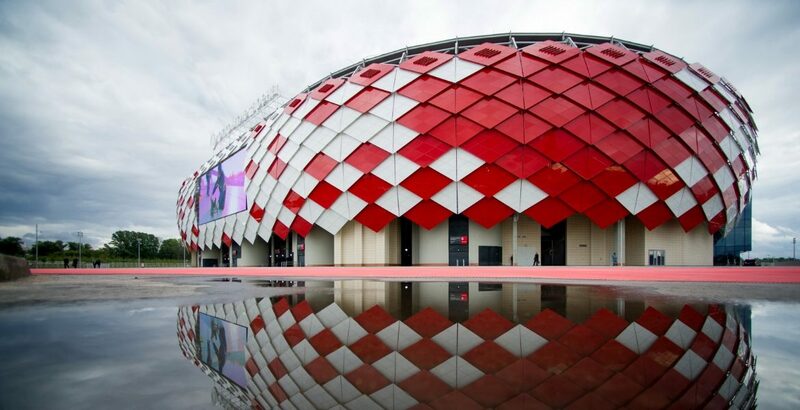 The stadium of the capital club “Opening Arena” is one of the most original constructions of the modern level. Location – Tushino airfield. The place is chic – an amazing natural area, which is located right on the bank of the Moskva River. 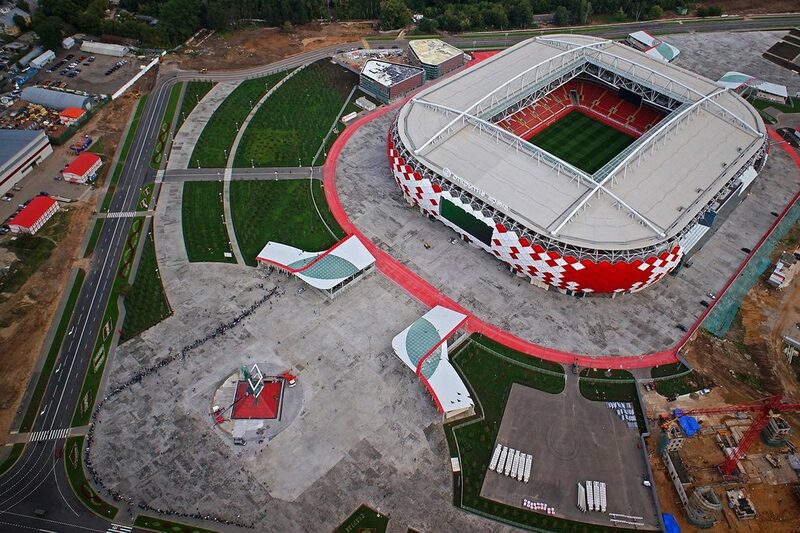 For all of Spartak’s history, this is the first stadium on which such a large-scale event will be held. The non-commercial name coincides with the same-named Moscow club. The arena is a very important architectural and sports facility not only for the capital, but for the whole of Russia. This is a vivid example of a successful combination of design and functionality. In order to build such a structure, it was necessary to have 10,775 tons of various structures and concrete in the amount of 80,850 cubic meters. In August 2014 the metro station “Spartak” was opened. 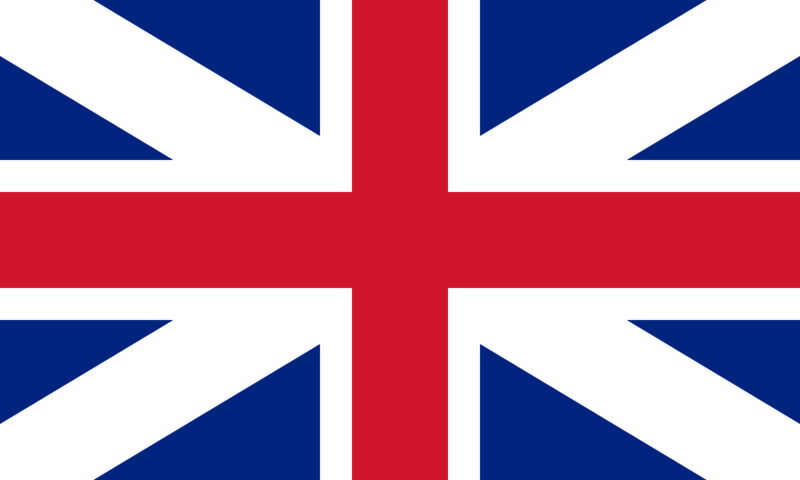 In late August, a match took place between the veterans of the capital’s club, which gathered about 8,000 fans. 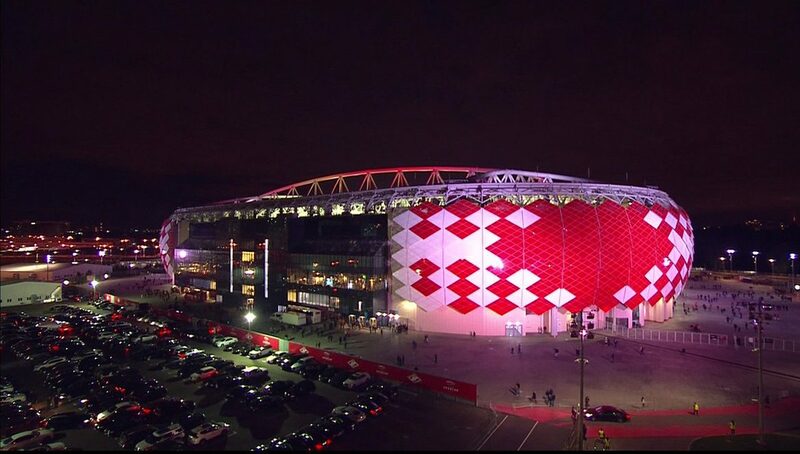 The long-awaited opening of the stadium took place on September 5, 2014. On the same day, played “Spartacus” and “Crvena Zvezda” from Serbia. The match ended in a draw, 1: 1. As for the Premier League of Russia, the first match was Spartak and Torpedo. The hosts won with a score of 3: 1. At the first official match there were more than 36 000 visitors. 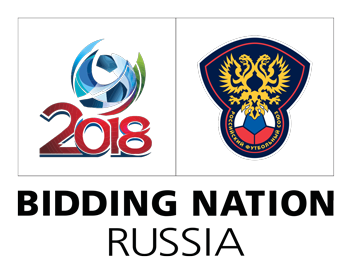 In October of the same year, a match was played between the Russian and Moldavian national teams, which ended in a draw 1: 1. 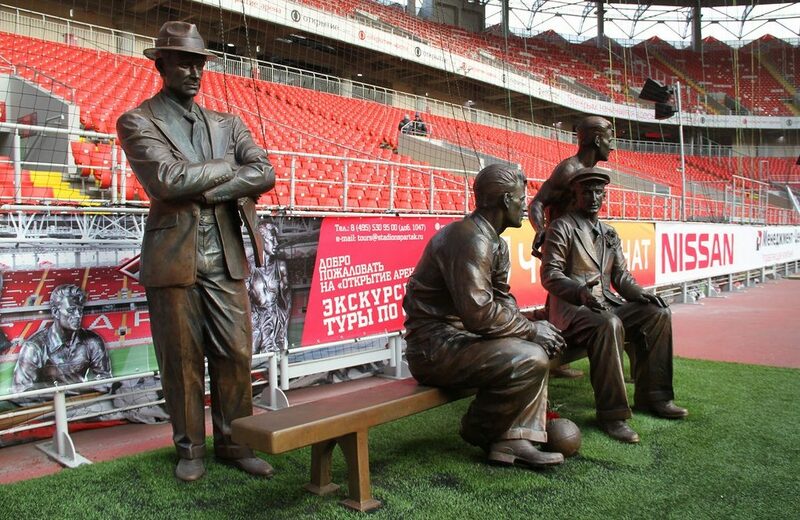 For all existence of the football team “Spartak” she did not have her own stadium. Recall, the date of foundation of the club – 1922. 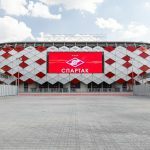 After the collapse of the USSR, the club did not have the financial capacity to build its own stadium. An unsuccessful attempt occurred in 1994. The construction of the Botanical Garden was planned, but because of numerous meetings of people, it was forbidden to build a structure on this site. The second attempt was also carried out on the territory of this region. A sufficient area of ​​land was allocated for the construction of the sports facility. 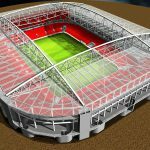 It was planned to accommodate 52,000 people in the stands. The beginning of construction was in the plans for 2001. It turned out that the allocated territory is the property of VDNH. Consequently, the organization asked for an overcharged rent for the land – $ 30 million. This amount put an end to the attempt to build. After some time, the third attempt was made. According to the plan, the stands had to accommodate 42,000 visitors. On its territory there should have been a park. 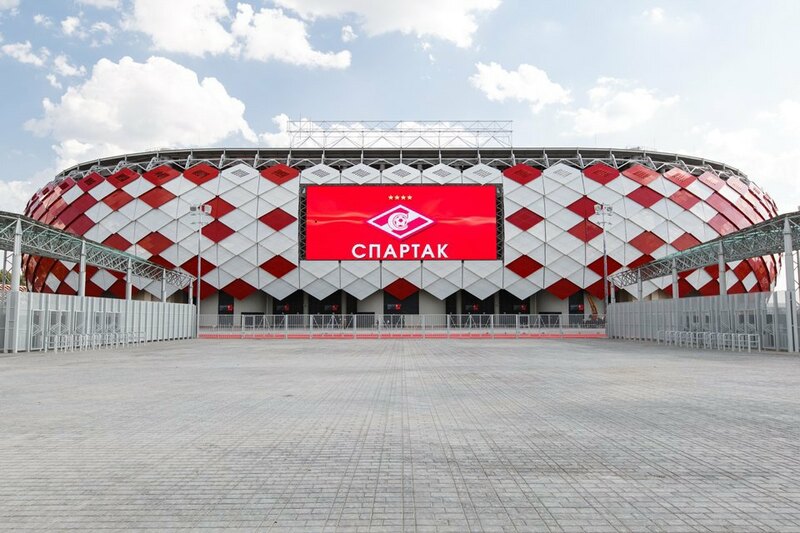 Again, predictably, because of insufficient funding, the stadium for the football team “Spartak”, unfortunately, did not appear. But despite this, the faithful fans of the club did not lose hope. Another attempt was made in 2006. 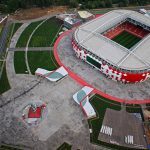 The financing of the management of the club and OAO “Lukoil” was guaranteed. 2007 was marked by triumph – the first stone was laid. The active beginning was replaced by constant problems. At first, various paper red tape was slowed down. Then, there was a financial crisis due to the unstable situation around the world. Initially, it was planned to finish all works by 2010. However, only in 2009 there was a design process. In addition, for some time, the architectural council blocked the existing version of the building. And only by 2013 the situation became completely clear and the patient fans finally waited for a magnificent “home” for their beloved team. 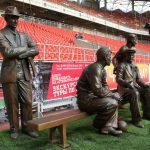 Of course, each stadium has its own unique history and some facts related to it. Let’s consider the most interesting. 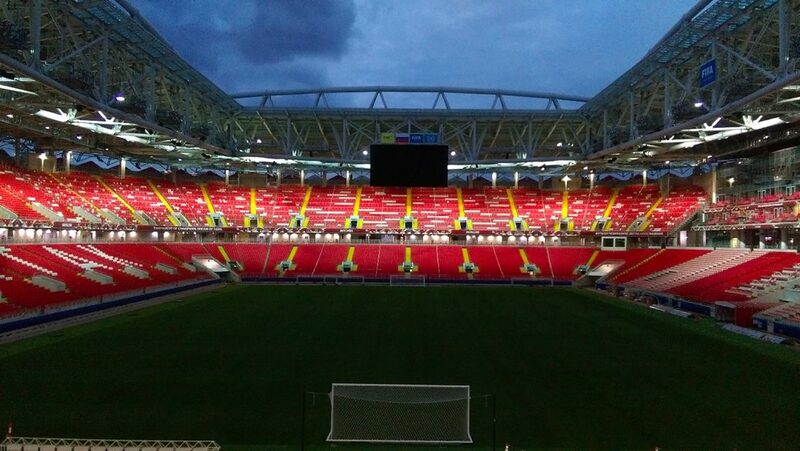 The arena is one of 12 stadiums that will host the 2018 World Cup matches. 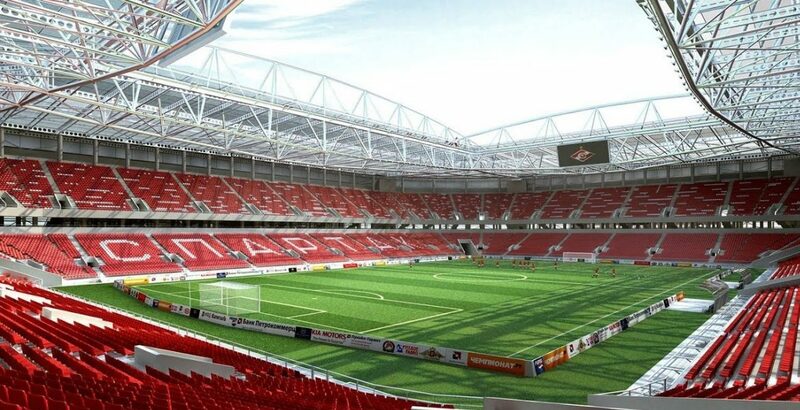 For its long history and 9-fold championship of Russia, this is the first home tribune of the Moscow club. There were many ideas and design processes for the structure. 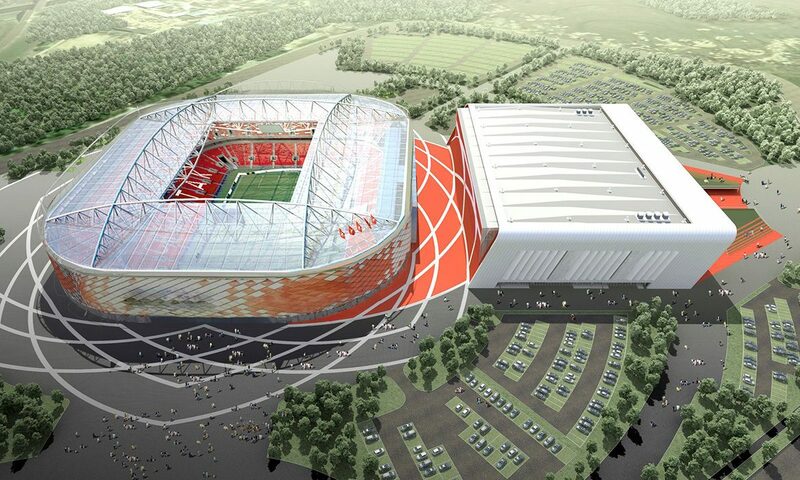 The most common reason, because of which the stadium could not be built, is a financial issue. There was much doubt, and a modern version on the site of the airfield, because there were also financial difficulties. However, problems were avoided. Most fans do not like this name. They believe that the sponsorship name is inadmissible, because it does not apply to the club. It is interesting that one of the first names that were planned was the “New Coliseum”. People liked this more. Very dissatisfied with the fans and so, the name of the team is written in Latin. Many believe that the club deserved to be called in its native language – Russian. And, ideally, to separate the stands – one will be written in Russian, the other – in Latin. The chairs in the stands have additional protection from fans. Football practice known cases when the ultra-flameway fired chairs or pulled them out. 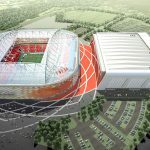 During the construction, all known consequences of violent fan actions were taken into account, therefore the degree of protection is the maximum. So far, for 4 years there have been no incidents and the construction is admirable. As will be the case, only time will show. The press is equipped with 150 seats, for commentators – 17. The cafe area is made in dark colors, it resembles a metro station called “Pyatnitskoe Highway”. 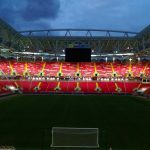 For the upcoming World Cup 2018 the number of seats for fans is increased to 46,000 people. The waiting room inside the stadium is equipped so that from the first seconds you want to be rooting for the team. Absolutely every part is all in emblems. Rooms, corridors, a huge number of stands are made in the colors of the club. Dressing room for players is one of the most comfortable in comparison with other stadiums. Above the chairs hang photos and jerseys of each player. The arena is one of the few stadiums around which there was no money scandal (corruption, etc.). Festivals and concerts are very often held at the stadium, and people enjoy it with great pleasure. There will be 4 matches of the World Cup group stage and 1/8 finals. The pride of the Arena is 2 huge placards. The video is so clear and bright that no spectator can miss out on any important detail of the match. Monument to the brothers Starostin is located opposite the North side. For those who do not know, these four brothers made a huge contribution to the creation of the Moscow club. The monument was created by the sculptor, who is the author of the monument to Lev Yashin. It is interesting that the name of the club in honor of the famous gladiator of Rome belongs to his elder brother Starostin. By that time, the name fully corresponded to traditions and ideals. 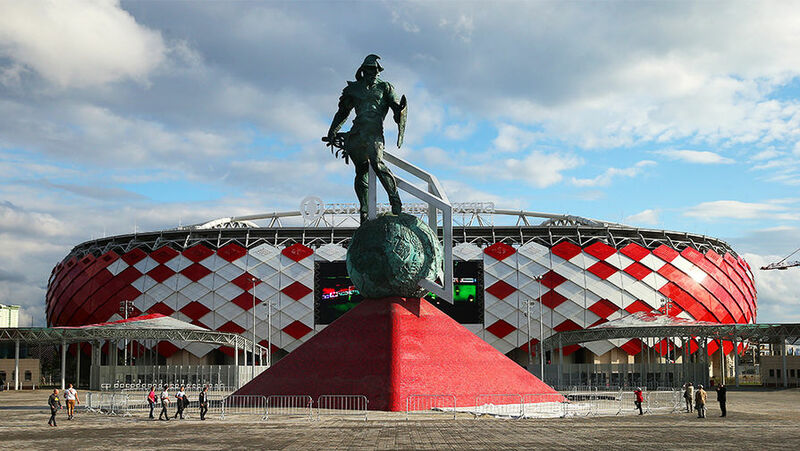 In front of the North Stand is a monument in honor of Spartacus (gladiator), 24.5 meters high. This sculpture is unique and it has no analogues throughout the country. On the fourth floor of the building there is a museum of the club “Hall of Glory”. At the entrance there is a corner, which contains all the information and attributes, which is dedicated to the founding brothers of the club. 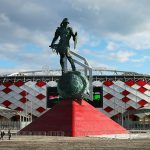 The museum has an incredible number of photos, videos and everything, that is connected with the Moscow football team. Each visitor can get acquainted with the history of the club for a certain period of time. All those who attended this “Hall” shared only positive impressions. Everything is so simple and thoughtful that even the most unskilled person, even a child, can cope with the presence of gadgets in the museum. Six months after the presentation, the stadium received a prize as the best football stadium. 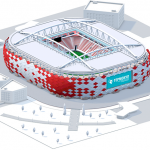 Of course, absolutely every connoisseur of football wants to visit the “Opening Arena”, especially in the light of the upcoming holiday for fans. In addition to the metro stations, the interchange for transport was cleverly created, thanks to which, the fans will easily get there. The task of this design is convenience for people and unloading Volokamskoye highway. More than that, it is planned to build a bridge for pedestrians and a river dock. 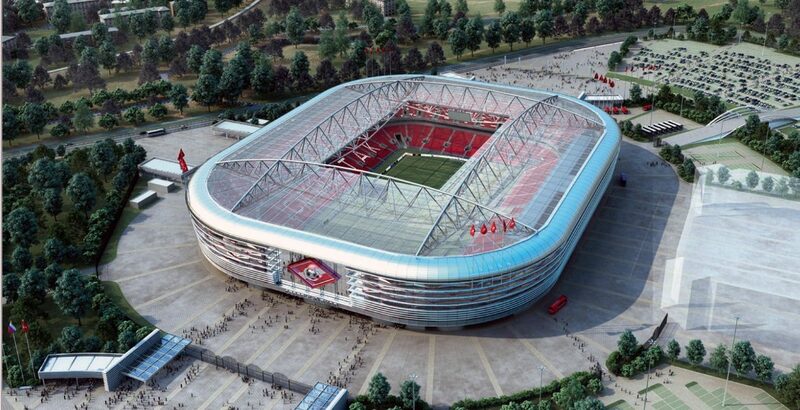 Pedestrian – for a bunch of embankments, and a pier – so that tourists can visit the stadium. 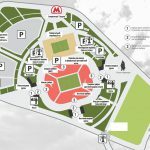 You can calculate only the bank cards of the sponsor, in honor of which the stadium is named. 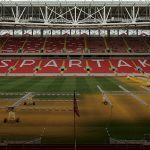 A MasterCard card with a prepayment is a subscription to Spartak’s football games. It also serves as a pass to the stands. At the stadium there are special machines, in which you can also buy such cards. Location: Moscow. 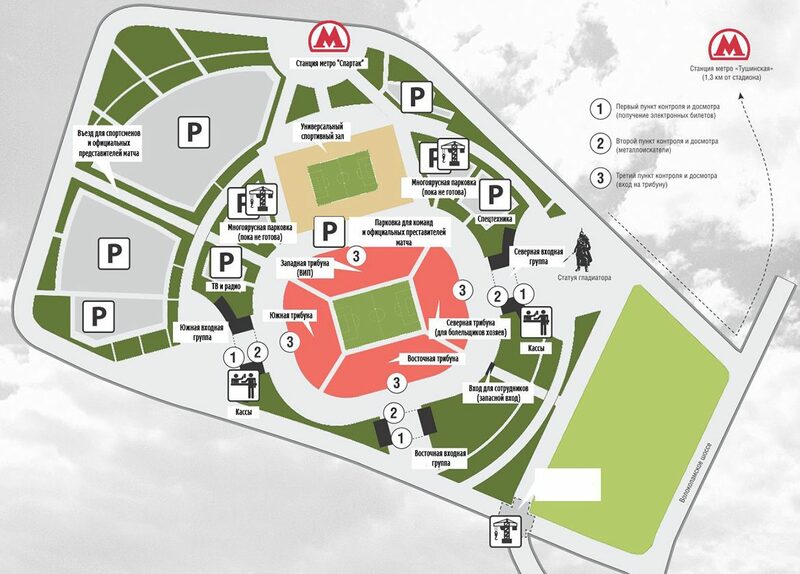 The stadium is located 10 km from the center, Tushino district. Address: Volokamskoye Highway, 67 possession. Area: 53 758 square meters. Number of seats in the stands: 45 360 people. Number of parking spaces: 7,500 seats. Metro. This is the fastest way to move. The nearest station is the metro station Spartak. 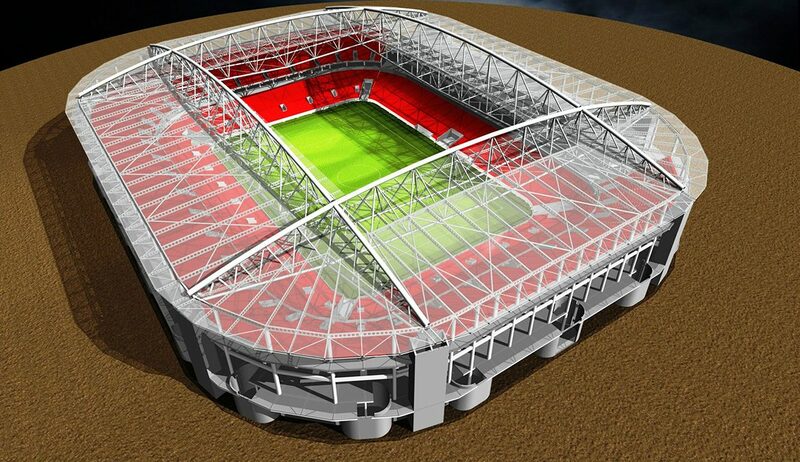 From the exit you will immediately see the stadium, which can be reached by foot in just 5 minutes. The second station is Tushinskaya. From it you can walk to the Arena on foot in 10 minutes. In order to cross the Volokamskoye Highway, you can use three subways. Electric train. The railway station “Tushino” is located near the metro station “Tushinskaya”. This is relevant for people who live in the suburbs. Bus. Near the Arena is how much stops for public transport. You can get by bus routes 88, 248, 456m. Tram. Not far from the stadium passes only one route – the 6th. The car. This type of transport can be reached only along the Volokamsk highway. 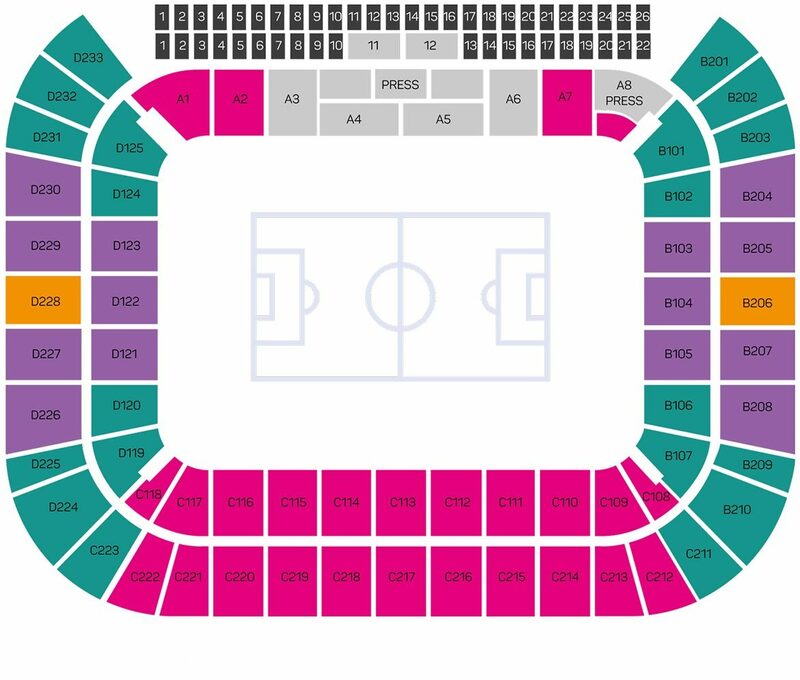 Entry into the territory of the stadium is possible only on passes that are valid on the day of the match. Pass data can be one-time or seasonal. Pushkinskaya Street, 15 – parking is paid. Volokamskoe Highway, 71. Operating hours from 8.00 to 20.00. In the shopping center “Pike”. Parking is open for the first 3 hours free of charge, then for each hour of 50 rubles. Working hours – around the clock. Absolutely any type of weapon. Items that can somehow be used in the form of weapons (umbrellas in the form of a cane). Bottles, jars, various vessels, glass and fragile items, packages in the form of tetrapack. Flammable and explosive substances, smoke bombs, toxic substances, combustible mixtures, petards, pyrotechnics, flammable products. Alcohol, narcotic drugs, various drugs with a stimulating effect on the body. Propaganda materials, that are extremist in nature. Means that may interfere with the game (lasers, flashlights, radios, vuvuzels, means for amplifying the sound). 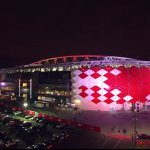 Not far from the location of the stadium, there is a sufficient number of hotels and hostels, where the guests of the city can stay for the time of the football feast in the form of World Cup. Also tourists can visit the sights, museums, parks, monasteries.